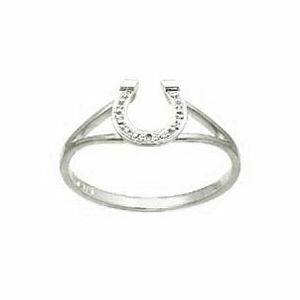 Solid 9ct white gold illusion set round diamond horseshoe ring. Gemstone: 1 x diamond .005 carat. 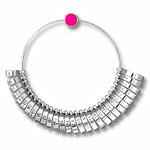 Material: 1 x grams solid 9ct white gold.